Jared Unzipped: You're Getting Robbed At The Grocery Store. When it comes to using deceptive and outright ridiculous marketing practices, nothing perturbs me more than grocery stores. So often, I walk through grocery stores and remark out loud about how terribly overpriced many of the items are. Take this afternoon for example. I went to my local Lowes Foods location to purchase some groceries. Here are a few examples of items "on sale" directly from this week's flyer (Week of Nov. 4, 2015 - Nov. 10, 2015). 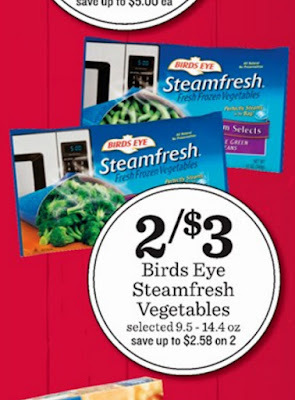 I'll begin with this sale on Bird's Eye Steamfresh Vegetables. Lowes has them "on sale" at two packages for $3. The average schmuck shopper would look at that and say "that's a good deal, by golly!" BZZZZZZZZ! Wrong, you brain-dead moron! The packages are $1.50 each. Even worse, they're at most only 14.4 ounces, so not even a pound. Comparatively speaking, you can obtain full pound bags of frozen vegetables at other retailers for $1 or $1.25. Not only are you paying more per bag, but you're receiving less product. So no... this item is not on sale. You're getting ripped off. Here we have a couple of deceptively priced items. 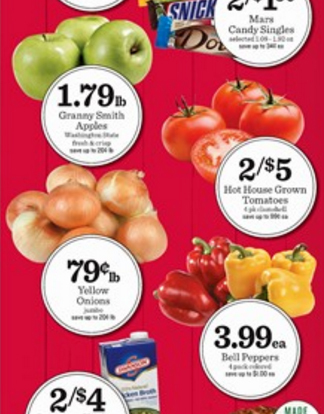 Granny Smith Apples are "on sale" for $1.79 per pound. That price is absolutely atrocious, especially considering apples are harvested in the Fall and are currently in season. Typically, I won't pay more than $1.29 for a pound of apples (any variety)... and that's at my absolute high end. If you visit your local farmers market, you can obtain apples for much, much less from growers right in your own backyard. Next, take a look at the four-pack of Bell Peppers. Lowes has them priced at $3.99 per pack. That equates to $1 per Bell Pepper. Considering the average Bell Pepper weighs around seven ounces, the per pound price is around $2.28. That is certifiable highway robbery, considering Bell Peppers can regularly be purchased not on sale around $1 or $1.50 per pound. You're paying over twice what the Bell Peppers are really worth... but because they're "on sale", nitwit shoppers will buy them. 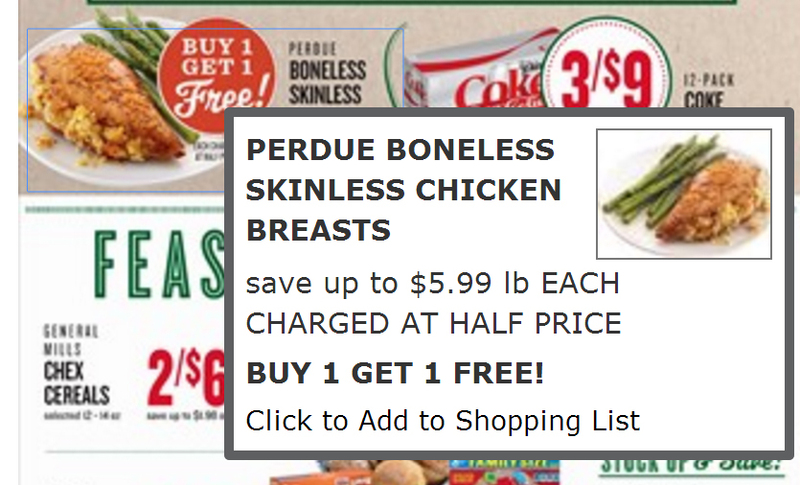 Glance at these packs of boneless, skinless chicken breasts. They're "on sale" as BUY 1 GET 1 FREE! Must be a good deal, right? Nope, you dingle-puss... your wallet is being raped right under your nose, and you don't even know it. Let's do the math. The packs are priced at $5.99 per pound. If you're getting one pack free for every one you purchase, then the packs are really $3 per pound. 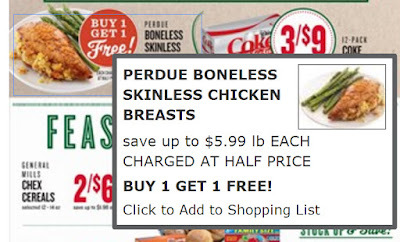 Considering boneless, skinless chicken breast can be obtained routinely between $1.50 and $2.50 per pound, you're getting bamboozled. BOGO should stand for Bought Only by Gullible Oafs. Can I afford $3.50 jars of peanut butter and $6 turkey meat? Sure. Will I purchase those items at those prices? HELL NO. How do you think I live so comfortably and don't struggle paycheck to paycheck like most other Americans? I've learned to save money and not get robbed by retailers. Saving money begins with where and how you shop. You have to be smart, because grocery retailers are out to swindle you. I could go on and on, but you get the idea. Is this an indictment of Lowes Foods and their absurdly high prices. Sure... but they're not the only guilty party. Just within my area, Harris Teeter, Wal-Mart (yes, the supposedly low-priced retailer) and Food Lion are just as bad, if not worse in many instances. Nearly every grocery store outrageously prices a swathe of items at prices far beyond their actual value. And yet, they get away with it because consumers fail to object to such nonsense. Our nation just keeps on paying whatever prices massive corporate retailers demand like a pack of brainless zombies. BRAAAAAAINS... TAAAKE MY MOOOOOONEY! MMMMMMM! 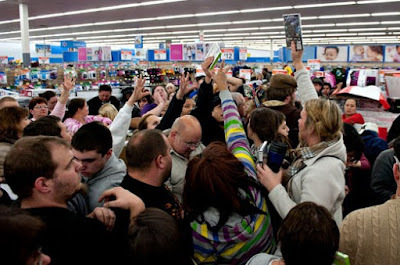 Every time you enter a grocery store, you're bombarded with carefully crafted marketing schemes to make you feel like an intelligent shopper. Buy One, Get One! Two For...! Half Off! And yet, this doesn't even account for rewards card programs, which confuse and befuddle the common consumer even further. This is why I appreciate local grocery stores and farmers markets. No sly marketing schemes. No rewards cards. Just decent food at a decent price. And yet, local retailers like this are rapidly fading away. The fabricated reality packaged by most grocery stores couldn't be any farther from the truth. You have to be crafty and insightful when grocery shopping, or you'll be taken advantage of... and you can take that bit of advice to the bank! *I fully realize that prices fluctuate based upon geographic region. Certainly, the prices I've quoted could be considered "cheap" in other parts of the United States. Then again, grocery stores are undoubtedly pulling the same hi-jinks all across this land. Prices are merely scaled up and down in relation to location.